Many already know that RollerCoaster Tycoon is a series of simulation video games that lets players build and manage an amusement park. Each game challenges players with open-ended amusement park management, development, and construction. Marcel Vos has created “12 Years of Suffering” a ride that that doesn’t end for 12 straight years in real-world time. Simply put, it’s two separate coasters that have been joined together, with one taking up almost all of the park with single carts that go around 20 times and another on a smaller track that features 30 carts. Read more to see this crazy attraction in-action. Apple may not have its own booth at CES 2019, but it has found a way to catch the attention of the tradeshow goers this week by plastering a massive privacy bill board on the side of a SpringHill Suites by Marriott hotel, which overlooks the Las Vegas Convention Center. The “What happens on your iPhone, stays on your iPhone” Apple used is a play on the famous “What happens in Vegas, stays in Vegas” slogan. The company may also have sent a few undercover employees to see how people react to the ad and / or what people are saying about their current “bendgate” iPad Pro controversy. Read more for more interesting images from around the web. Are you a professional eSports gamer and have been looking for a backpack large enough for all of your gear or a high-powered Intel / AMD desktop machine, complete with monitor? If so, then look no further than “Backpacker’s Closet” by Japanese design studio CWF. It measures 100 cm in length and 68 cm in width while offering a maximum holding capacity of 180 liters (48 gallons). The shoulder straps feature extra padding and an additional middle strap to reduce stress on the wearer’s back and shoulders. Read more for additional pictures and information. For those who have never seen or heard of an internet meme, it’s basically a piece of media that spreads, often as mockery or for humorous purposes, and takes the form of an image, GIF or video. They can be a word or phrase, sometimes including intentional misspellings (such as lolcats) or corrupted grammar (such as in doge, all your base are belong to us, etc.). 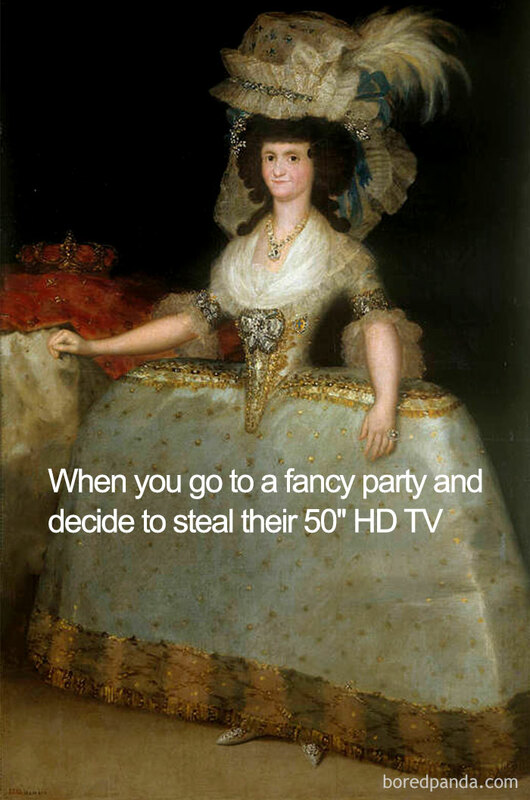 This is what happens when classical art gets turned into internet memes. Read more to see some of the most popular examples from this year, compiled by Bored Panda. YouTube channel “Bad Lip Reading” have been known for their spoofs, whether it be sporting events, classic films, or even presidential speeches, they’ve probably done it all, except for Apple product launches, that is until…now. In this spoofed product launch event, you’ll see Apple CEO Tim Cook and Craig Federighi, the company’s senior vice-president of software engineering, showcasing a host of bizarre products, Apple Wings and Apple Toast included. Read more to watch the video and for additional information. For those who haven’t heard about pareidolia, it’s a psychological phenomenon where the mind responds to an image or a sound by perceiving a familiar pattern where none exists. Those familiar patterns could take the form of animals, faces, or objects in cloud formations, water, or even hidden messages in recordings. 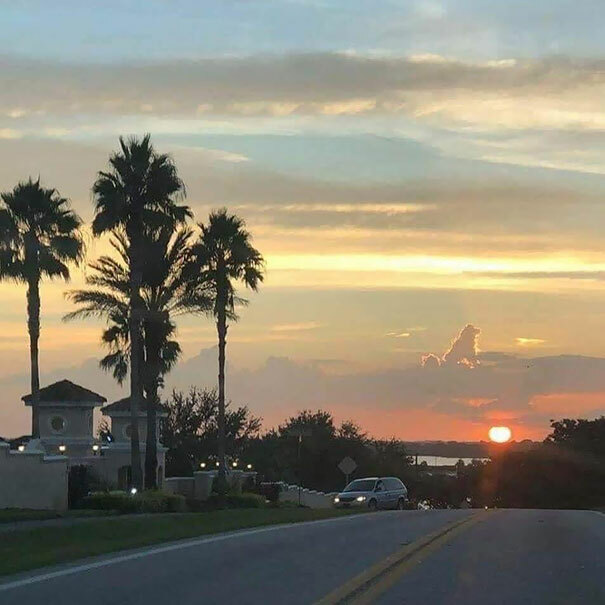 In the image above we see what appears to be a dog-shaped cloud in a sitting position. Read more to see additional examples of pareidolia in everyday objects. Since the holidays are here, people may not be as responsive to your emails as they normally are, and that’s when you may see some of these common phrases. To kick things off, we have “just checking in,” which may sound harmless, but after numerous messages without receiving a response, you might actually mean “I’m going to keep sending you emails about this until you respond.” Read more to see a compilation of brutally honest meanings of common email phrases by 9GAG. Ever wonder what a modern “Home Alone” movie would be like? If so, then wonder no more as this Google Assistant commercial shows us just that with Macaulay Culkin playing an adult Kevin McCallister who is “Home Alone Again” with a house full of modern technology. One a side note, did you know that after its release, Home Alone became the highest-grossing live-action comedy film of all time in the United States, and also held the record worldwide, that is until…it was overtaken by The Hangover Part II in 2011? 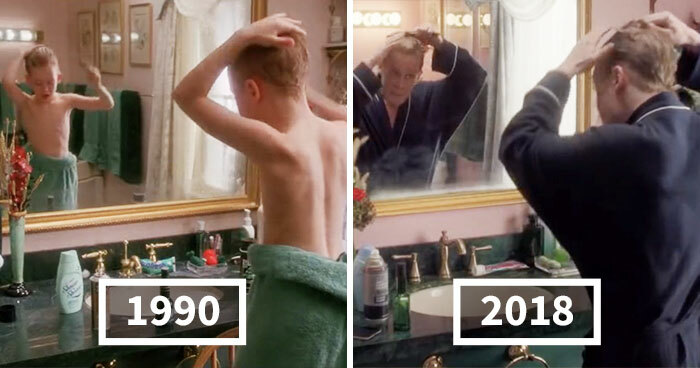 Read more to see the full video and the side-by-side comparisons with the 1990 film. 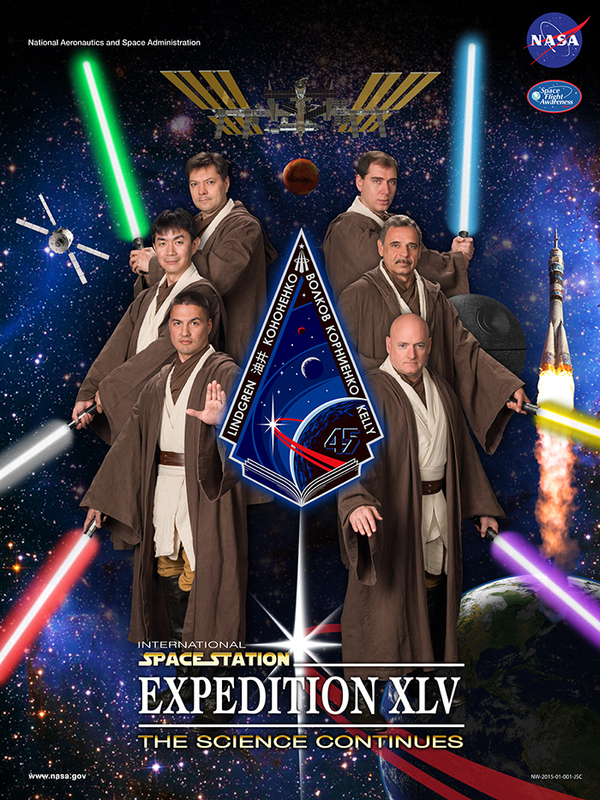 Did you know that NASA has createed expedition posters for every ISS mission since 2000? The one you see above was for Expedition 45, in which astronauts Scott Kelly and Mikhail Korniyenko transferred from Expedition 44 as part of their year-long stay aboard the ISS. Expedition 45 began with the arrival of Soyuz TMA-18M at the ISS on September 11, 2015, and concluded with the departure of Soyuz TMA-17M on December 11, 2015. Read more to see additional posters. Mark Rober, a former NASA engineer-turned-YouTube star, has designed a booby trap to deter doorstep delivery thieves. That’s right, he spent six months combining GPS tracking, cameras, fart spray and glitter, all into one elaborate and amusing mechanism after discovering thieves had stolen an Amazon delivery from his doorstep. To be more specific, he connected four phones to a GPS-connected circuit board inside an Apple box, and once the package was removed from a home by a would-be thief, the geo-tracking would alert Rober while also triggering the phones to begin recording and uploading footage to the cloud. “If anyone was going to make a revenge…package and over-engineer the crap out of it, it was going to be me,” said Rober, who spent nine years with NASA. Read more for the video to see the chaos that ensued.